In the fast-paced world of energy and business, timing is everything and change is constant. Valero Energy’s Julia Rendon Reinhart understands this concept well—in a span of just ten years, the newly minted vice president of human resources has navigated her career and greater responsibility with equal parts aplomb, optimism, and respect for legacy. Reinhart assumed her HR role just one month before her predecessor, Mike Crownover, retired after twenty years at the helm. He served as a mentor to many, including Reinhart, and managed everything from human resources, benefits, and training and development to global security, advertising, and communications. 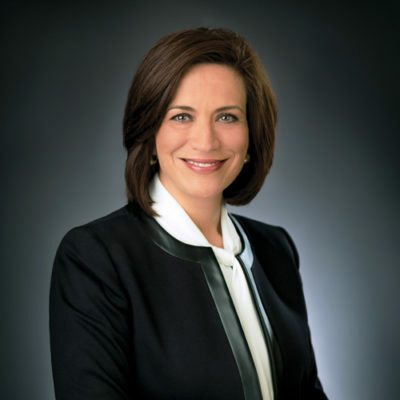 Reinhart’s previous roles in legal, as managing counsel of labor and employment and eventually as vice president of corporate communications, connected her to her own leadership style. It also prepared her to lead a team of hard-working, loyal employees—in her own way. Three weeks into the new role, Reinhart hosted a team-building staff retreat to share expectations, reiterate the company’s core values, and set her own goals for the future: Be excellent. Be solution oriented. Be value driven for all employees, at all levels of the company. From day one at Valero, Reinhart has challenged herself to live by those principles and bring new perspective to any position she has taken on. Hired in December 2006 as Valero’s managing counsel for labor and employment, Reinhart managed a staff of four before accepting a new challenge in 2007 as executive director of communications. By 2010, Valero had promoted her to vice president of corporate communications, a role that strengthened her ability to engage and serve the interests of a diverse workforce. The company’s spin-off of a limited partnership in 2006 created a need for a new communications team to steer Valero toward its next chapter of success. To do that, Reinhart drew from her experiences in labor and employment, mergers and acquisitions, and team management to engage employees at both the corporate level and in the field. Valero’s workforce is composed of both union and nonunion employees, so every message and every initiative required a deep understanding of its audience’s needs and expectations. Her communications role soon expanded beyond leadership messages, business updates, and annual reports to include oversight of corporate events such as annual Family Day and holiday celebrations, companywide United Way fundraising, and external support of the annual Valero Texas Open PGA tournament and the related Benefit for Children charity golf tournament. It was new territory for Reinhart, but it offered new ways to learn about the company and engage its diverse workforce of nearly ten thousand. As a result, Reinhart has important insights for her current team as they recruit high-caliber talent for a high-pressure industry. From refining operations to cybersecurity, Reinhart supports her staff’s ability to find and recruit the best of the best. She stresses the importance of emphasizing not only competitive pay and benefits but also Valero’s reputation as a safety-minded, community-oriented premier employer in the refining industry. As the refining workforce evolves, Reinhart sees diversity as a critical component to hiring the next generation of top-tier talent. Valero receives thousands of applications each month, and one of its biggest challenges is ensuring that applicant pool is as varied as it is talented. Communicating Valero’s commitment to safety, excellence, teamwork, and growth is essential. Reinhart challenges her team to remember lessons from the past and use them as fuel to find new ways to engage. This means laying a foundation for excellence, from Valero’s successful summer internship program to its deepening roots as a benefactor of community STEM programs. The potential to hone an even stronger workforce is exciting, and it’s something Reinhart shares with her predecessor. Success starts with knowing where you came from and building on past experiences to decide where to go next.